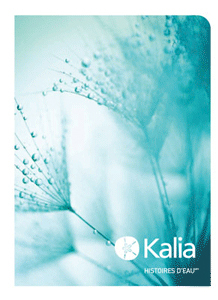 Kalia warrants all its products against material or workmanship defects under normal conditions of use and maintenance. The warranty period may vary depending on the type of product. In addition to the previously mentioned conditions and limitations, the warranty period for products installed for commercial applications, or used in commercial ventures, shall cover a period of one (1) year from the initial date of purchase. Kalia will, at its discretion, repair or replace parts or products that are found defective for the normal home use for which they were designed. Kalia is not responsible in any way for costs related to labour or any other costs related to a product’s installation, repair or replacement, nor for any damage, incident, expense, or direct or indirect loss. For more information or to find out the repairer closest to your area, please feel free to contact us. We respond to all service requests within 48 hours whether received by telephone, email, or by a representative. This allows Kalia to quickly and courteously assess your needs. In the event that one of our representatives is called on to make a customer visit, the customer is informed in advance that an $85 fee will be charged if the problem is not a manufacturing defect.